For the first morning in six days, late-morning drivers were able to pass go and make their way across the Oakland Bay Bridge. 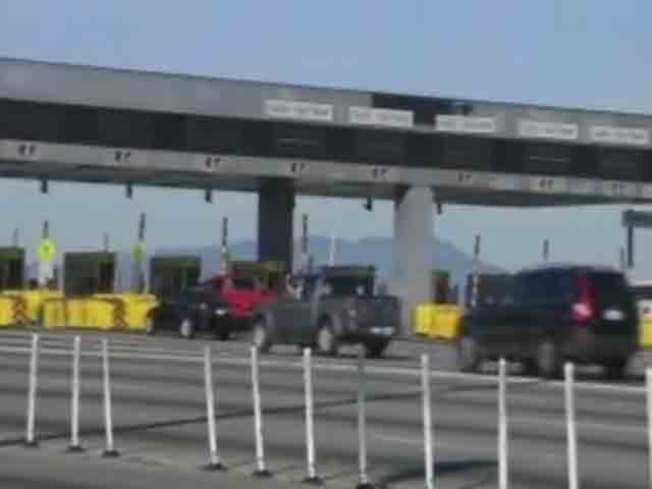 Cars on the Oakland toll plaza side were allowed to go through first just before 9 a.m., followed by vehicles on the San Francisco side. Caltrans completed its emergency repairs overnight. 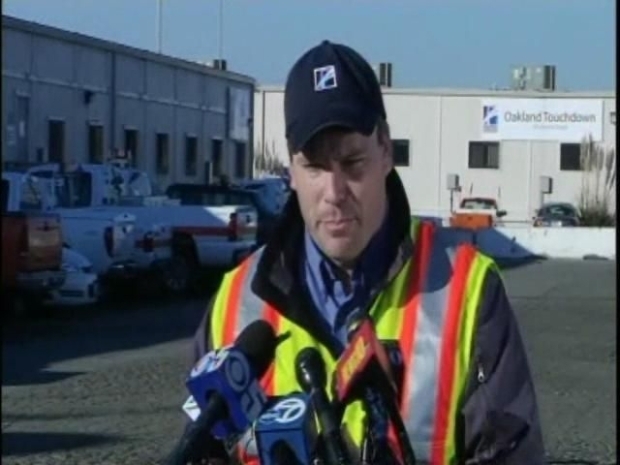 All tests of that repair job passed "with flying colors," according to Caltrans spokesman Bart Ney. Ney credited a "breakthrough" for getting the bridge repairs back on track. Overnight workers found a way to get the steel into alignment. Each earlier efforts failed inspection stress tests. The span had been closed for nearly six days. The California Department of Transportation reopened the Bay Bridge this morning, nearly one week after the bridge was shut down when a repair failed and sent debris falling onto the upper deck. The opening did not happen in time for most of the hundreds of thousands of commuters who use the bridge to get to work, but the span will be an option for the trip home. The recent closure is the longest since the span was shut down for a month following the 1989 Loma Prieta earthquake. Crews have been working for nearly a week to repair a section where two rods and an eyebar fell onto the upper deck Tuesday evening. Three vehicles were hit by flying metal. Ney said Caltrans will likely perform more inspections by closing lanes during off-peak hours to examine the entire system. "Thank you for your patience," Ney said. "I know it's been difficult ... we are happy to be returning the Bay Bridge to public service this morning." The closure stretched through three full weekdays and this morning's commute, and complicated Halloween plans for many on both sides of the Bay. BART saw ridership records shattered as commuters flocked to public transit to get to work. 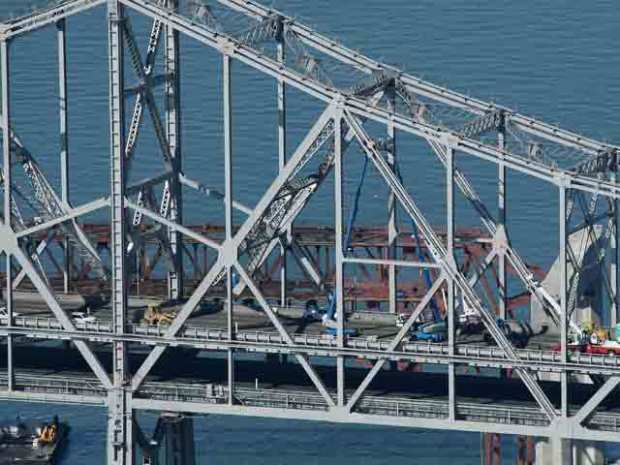 The failure happened when two tie rods and a crossbar tumbled onto the upper deck of the eastern span. The falling parts had been installed to take pressure off a cracked eyebar that was spotted during construction over the Labor Day weekend. Caltrans attributed the failure to the inability of the rods to withstand strong vibrations caused in part by heavy winds last week.